The Luft Hybrid is an impressively built mattress for a great price. 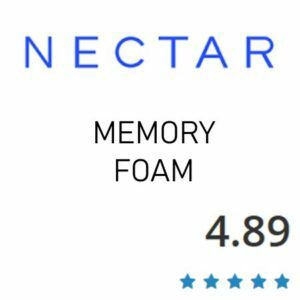 It is built and sold by a mattress factory who supplies stores so they have better pricing than many online brands that compare in quality. 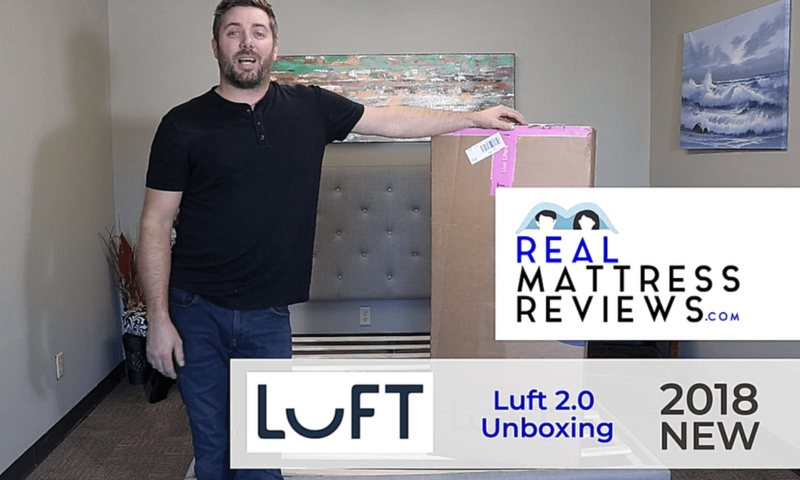 Luft Beds is a new online company but it comes from a manufacturer that has been making beds for brick and mortar stores for years and years. 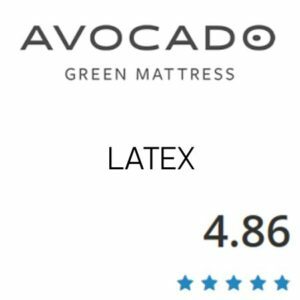 This mattress puts most online brands to shame at 14″ thick and and with an incredible price point. Most brands buy from a manufacturer. This mattress is put out by the manufacturer so you skip the wholesale markup. 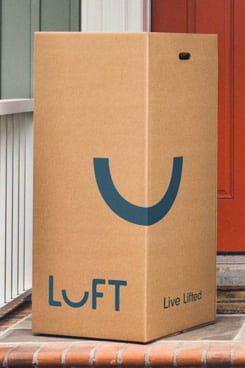 You want a good value – The Luft stacks up to many of the big box store brands you will find in stores but will save you money and they are the manufacturer so you don’t pay the wholesale markup most brands have. Like to sleep cool – The design of the Luft disperses heat efficiently. The quilting layers on top keep you from sleeping directly on the gel memory foam which can get warmer. In addition having coils vs a foam core helps to circulate air. Are a heavier sleeper – When compared to a 10″ mattress the Luft is a good option if you are a heavier sleeper. You will not have issues bottoming out on this mattress. Like the combo of bounce and body conformance – M This is because of the quilting layers on the top and the coil system. It integrates well with the memory foam to give you a good combo of body conformance but without feeling “stuck”. Want good edge support – The Luft Hybrid uses an edge to edge coil system that provides excellent edge support. Sitting and laying down the edge support does its job. 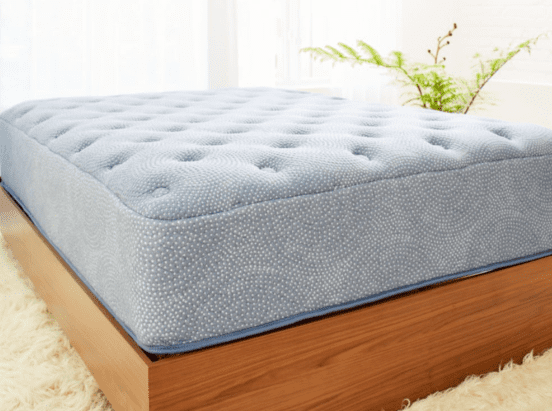 Prefer a foam mattress – Nest Alexander Hybrid is pairs coils and foam. So if you prefer all foam you can look into their all foam option as well. Have a super tight budget & don’t value real quality- Although the Nest Alexander Signature is a great value for how its made and how it specs out it’s still over $999 for a queen (with our coupon). So if you’re looking to go really cheap, you will need to look somewhere else. If you are considering a Temperpedic or an Icomfort, this is a great alternative. Luft uses a nice, thick quilted cover. It adds a nice feel on top. I personally like the feel of a quilt vs a thin zip on cover. I think it provides more or a substantial feel and durability. The Luft Hybrid can be used on any solid surface. Whether you pop it on the floor, on a wood foundation, boxspring, platform with slats or an adjustable base it will perform great. I enjoyed the Luft Hybrid for the following reasons. A.) The quality of the build is above average for the online market space. You cannot beat how much mattress you have here for the price. C.) It has fantastic body conformance without a stuck feeling. D.) Great edge support making the entire sleep surface useable. E.)I like that its not another 10″ mattress, its more substantial making it also a good option for heavier people as well as lighter people. F.) It’s available in hybrid and foam so depending on your sleeping position you can make a choice. G.) They have a 10 year warranty. Being only 125lbs I tend to like a mattress that has more than 3″ of comfort foam to help it conform better to my body being that I am lighter. This mattress conformed very well for both of us. Next, this mattress just felt and looked luxurious. I think it’s a great option for anyone who is looking for a higher end feel just like the foam verison. 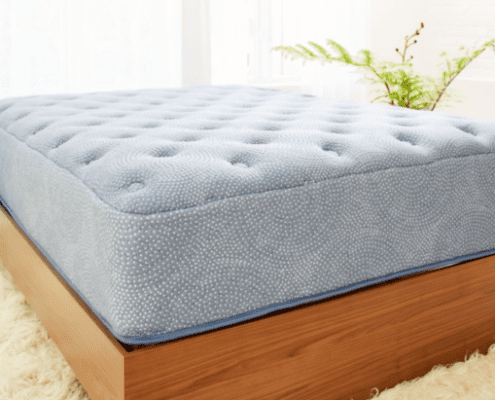 WHat I like about the Hybrid is that it has more of a traditional mattress feel but still have 4″ of foam on top. I like the extra bounce the coils provide, it makes it very easy to adjust positions as well as preventing you from having a sinking/stuck feeling. 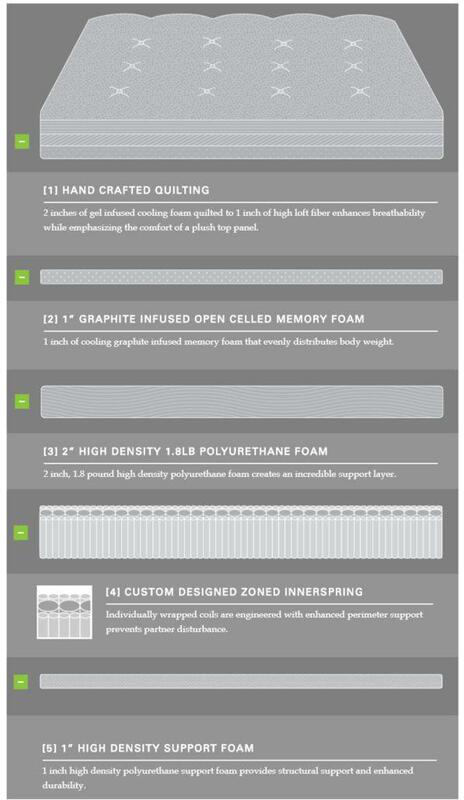 The Luft mattress has a few features that will aid in keeping the mattress as cool as you need it to be. The coil system allows for support as well as plenty of air circulation and breathability. A mattress with a coil system is going to be the best option for warm sleepers. This is because you will get plenty of air flow and heat dissipation that you won’t get with an all foam mattress. This mattress also has a memory foam layer is infused with graphite that helps dissipate heat. It also has a quilted cover that is 3″ thick and uses gel infused cooling foam as well as Dacron high loft fibers that wick away moisture. The Luft Hybrid will great on an adjustable base. Discounts – Save $125 off with promo code RealReviews125 & OUR DISCOUNT LINK ABOVE. 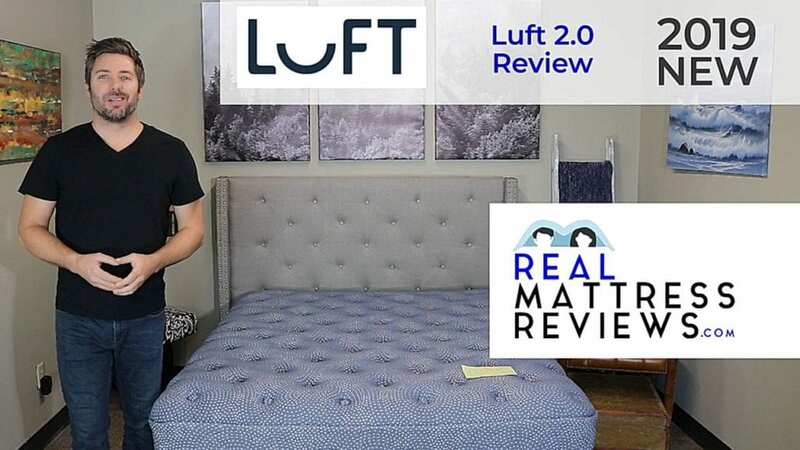 Luft is made and sold by a mattress manufacturer who has been around for many years. Symbol Mattress. 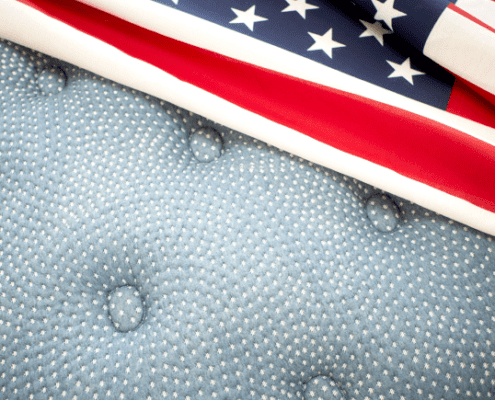 They supply stores across the country with quality mattresses. Luft is a very good option when considering a Hybrid. This Mattress uses the same Quantum Edge to Edge Coil unit many other hybrids use but it comes in 2-300 LESS than several brands. This is because LUFT is coming directly from a manufacturer so there’s no middle man mark up. I was honestly surprised at how cheap they are selling this. Its great for people looking for that universal medium feel and you can pick from hybrid or all foam. 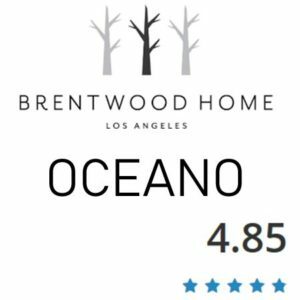 Overall, this is an amazing value and a lot of mattress for the price.